Here's a birthday card using a free digi stamp from Dearie Dolls, coloured with markers. The papers are Basic Grey and I stamped the sentiment. Had to put all the lights on and photograph this in the bathroom .... there are some challenges I want to enter and I probably won't see daylight again till next weekend! 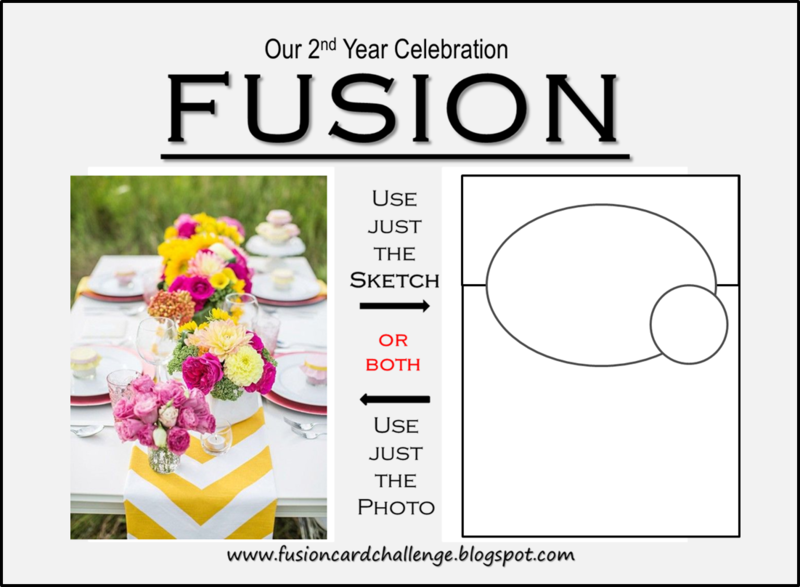 Fusion - Sketch - I hope you can see it as I put the boy in the place of the semi-circle. Here's a one-layer-card I made using an image from A Day for Daisies. 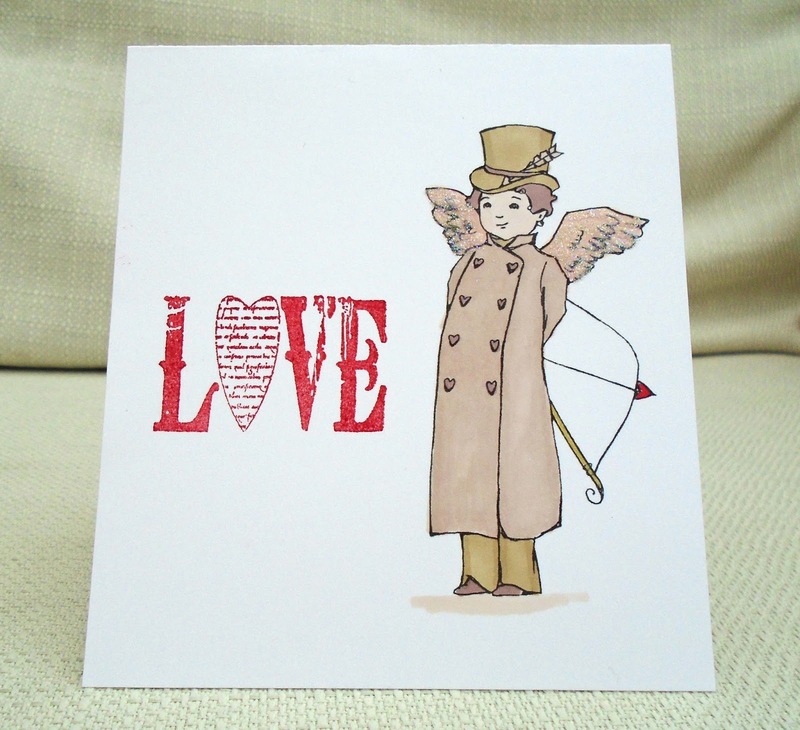 I tried to use sepia-like images for his 'disguise', in contrast to the gold and red bow and arrow and glittery wings. 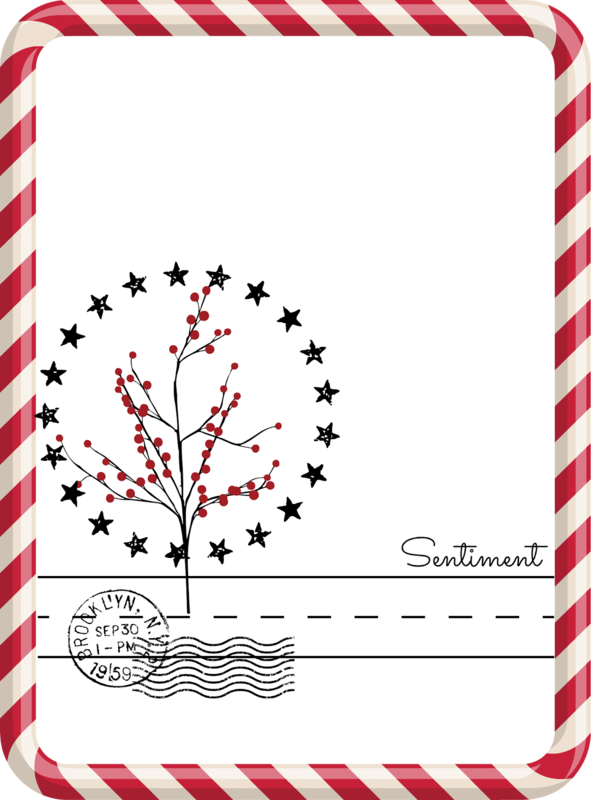 The sentiment is this month's Craft Stamper magazine freebie. 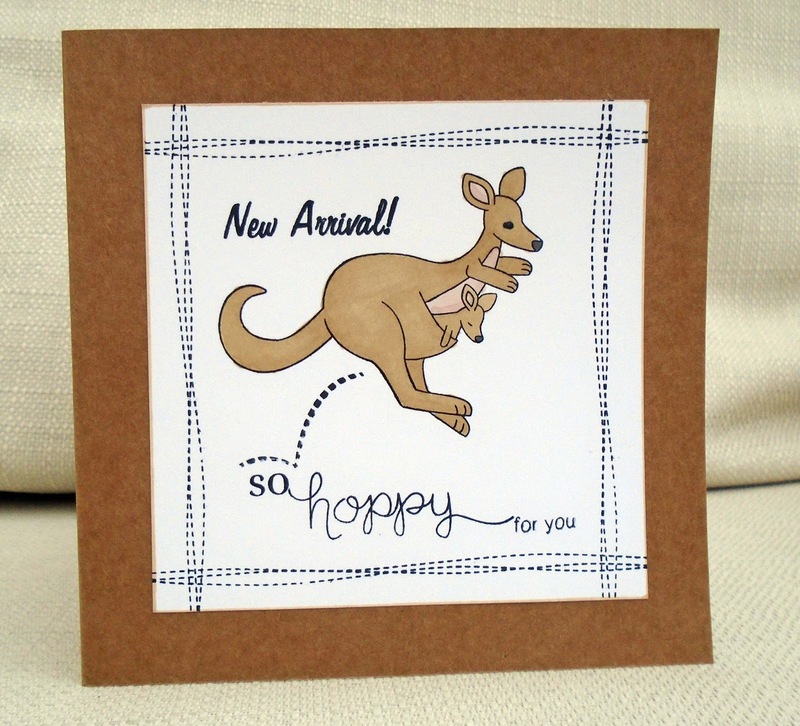 January 26th is Australia Day ( I knew that because it's also my son's birthday) , so when I saw a couple of 'Down Under' challenges today, I knew it was the perfect opportunity to use my new kangaroo stamp from Newton's Nook. 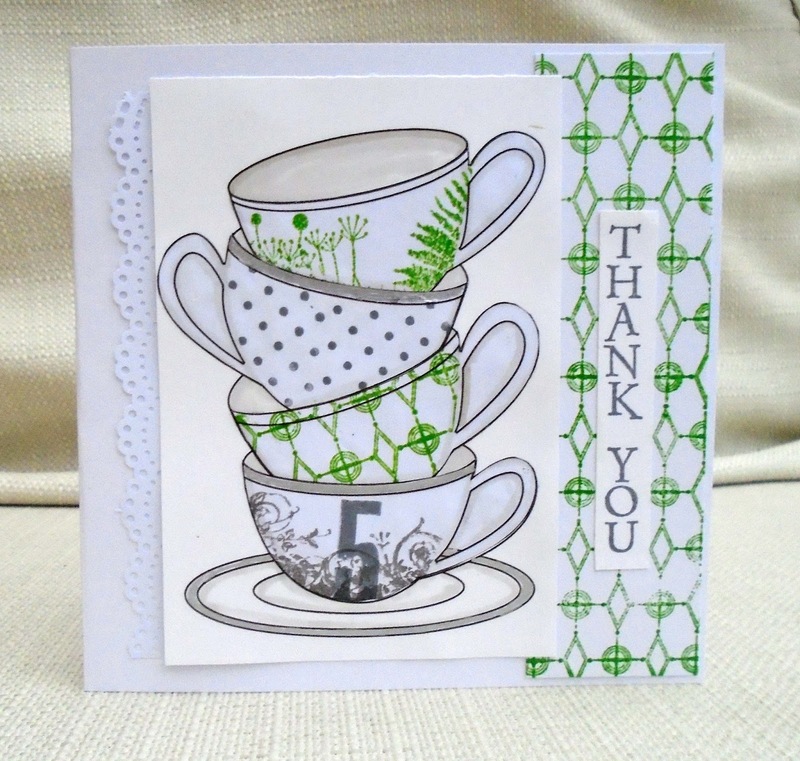 I used sentiments from Sarah Hurley, Waffle Flower (the small but important 'so'!) 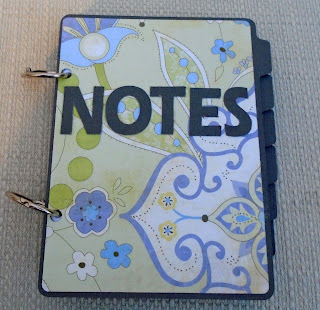 and Newton's Nook , and the faux stitching is by Inky Doodles. 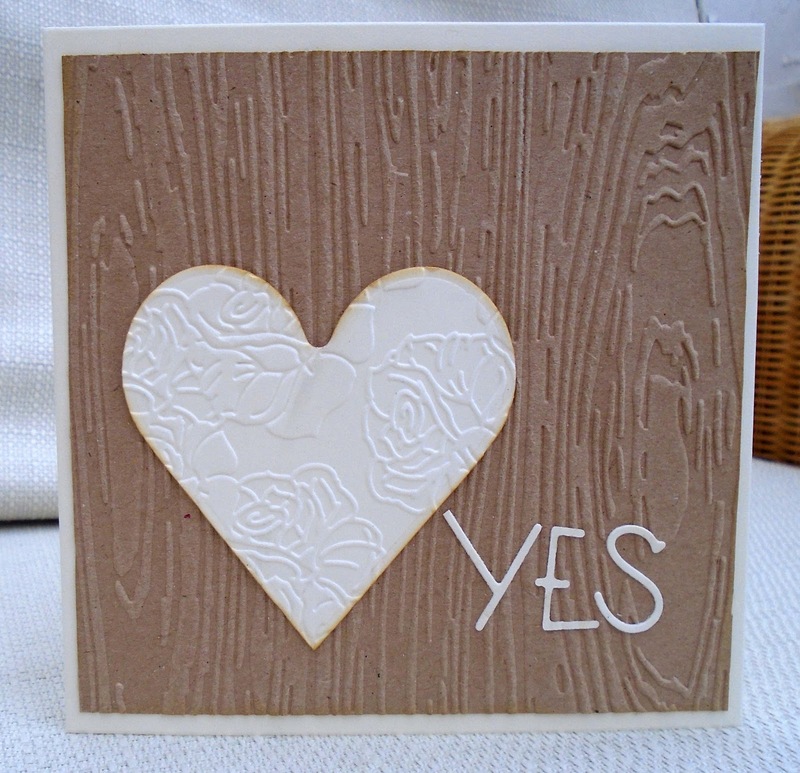 My card was made at the request of my daughter who wanted a 'rustic/romantic' card to RSVP a wedding invitation. She showed me the wedding invitation she had received and it was kraft card and lace, so I thought that a card inspired by the photo would go with the theme. 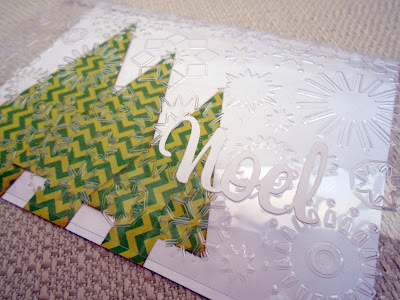 I used embossing folders and die- cutting. If anyone should propose to me , I could use this 'yes' design again! 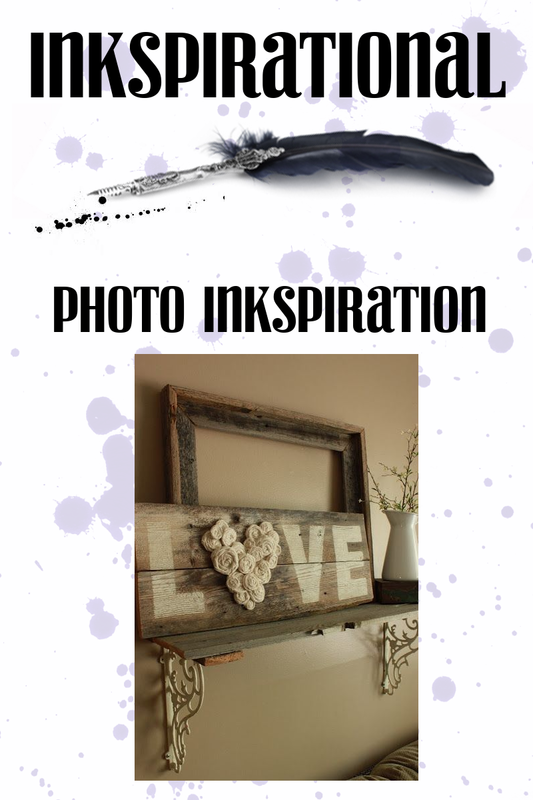 We would love you to come over to Inkspirational, meet our Guest Designer, Kristina , and see what our DT have made - and enter our challenge. It's Christmas in Birdland, but one silly bird has got totally confused and brought a Valentine's card along! This image, which I coloured with markers , is by From the Heart , and the sentiment is Avery Elle. I decided to create a 12x12 scrapbook layout about my project for 2016 - to reduce my mountain of small paper pads. 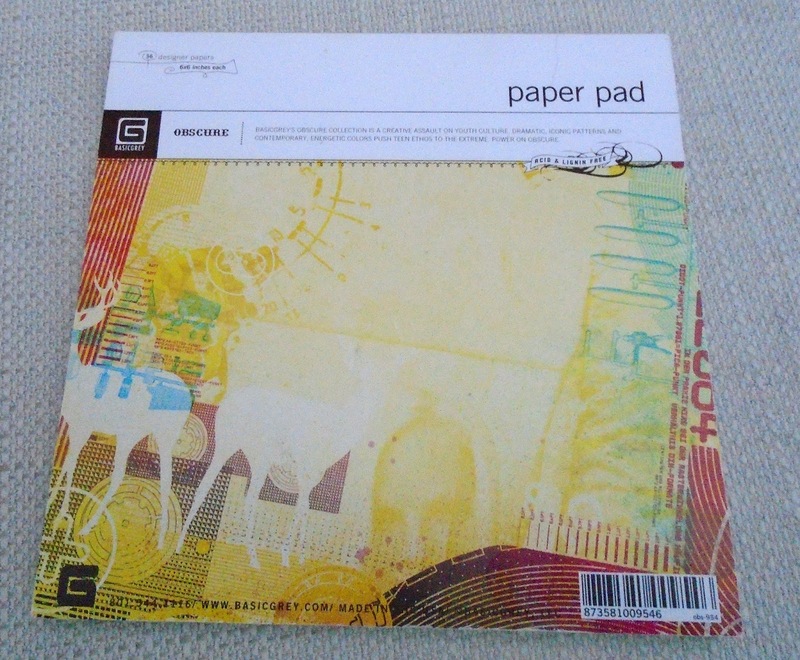 Some of my pads are unused because I don't like them enough (often magazine freebies), but others are unused because I like them too much! 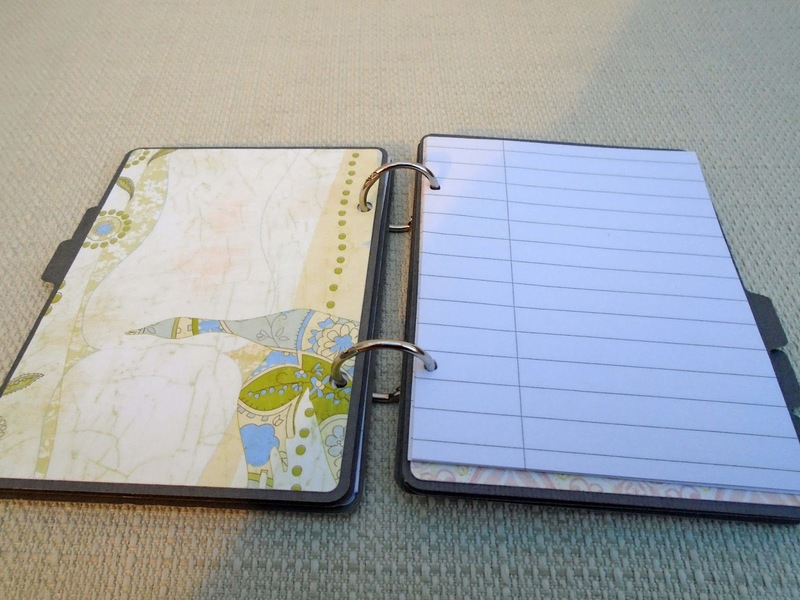 This pad by My Mind's Eye comes into that category. 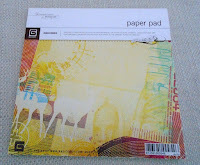 It is hard to use because it has lovely pictures printed on it, that are hard to use whole (what for?) but I didn't like to waste. 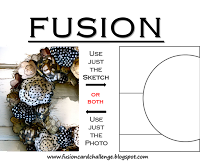 So here I found a way of keeping parts of the pictures in circles. 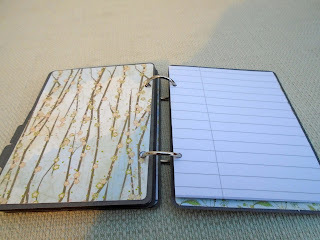 I often hear scrapbookers say they prefer scrapping to card-making because they get to keep the finished project. It's like having your cake and eating it! I really like making Valentine's cards but, having only one partner(! ), I end up making them for the kids of the family too. This one will go to my son. 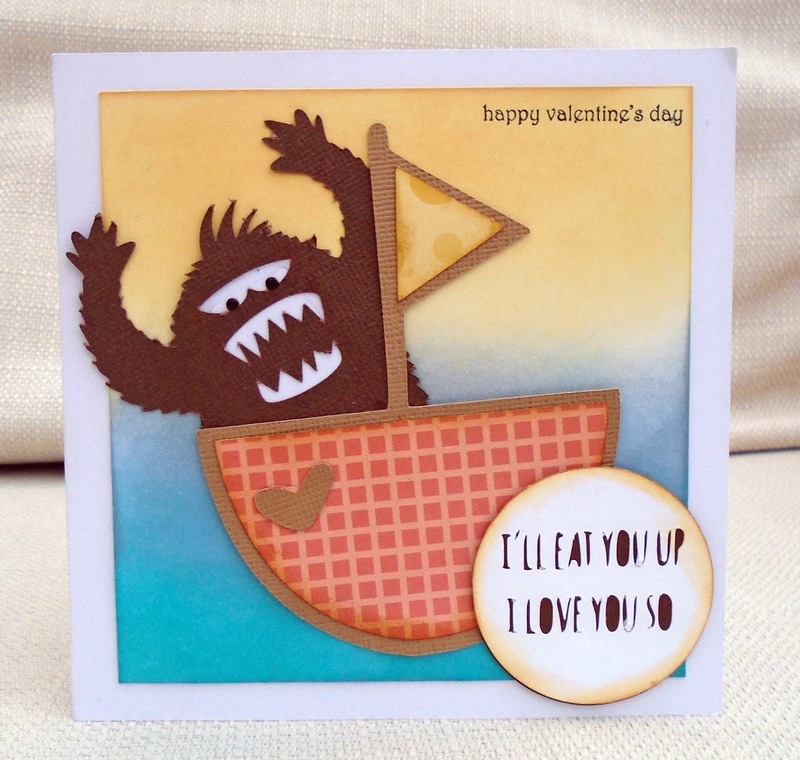 It was inspired by the children's book "Where the Wild Things Are" - the round sentiment is a quote from the book and it, and the boat are SVG cutting files from Studio Calico. The monster is a Lettering Delights SVG and I made the background with Distress Inks and stamped the tiny sentiment (top right) from Stampin Up. This week's challenge at City Crafter is to feature a pet on your project. I went for a very small cat in a very large glass. The cat is an SVG cutting file from Lettering Delights and I cut the 'cheers' from a computer font. 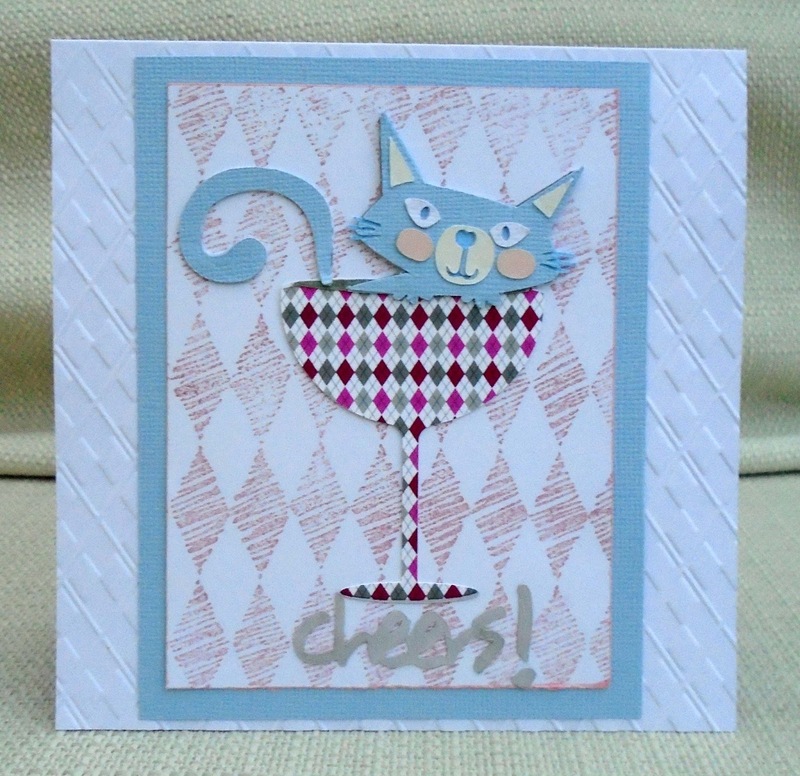 The pink diamond background is a Judikins and I used a Diesire embossing folder. 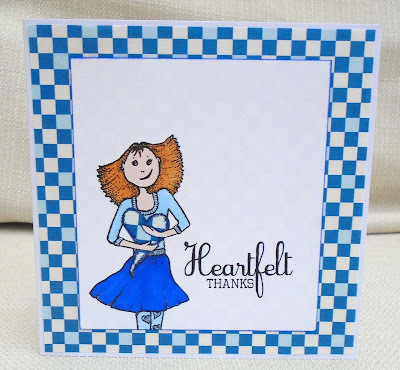 We'd love to see your cats, dogs, guineapigs...... We have a guest designer Dana , so please come and see what she, and the DT have made, and link up your project. Crafting when we can celebrating any occasion - it could have worked for different occasions but I have actually given this to my sister-in-law for her birthday. 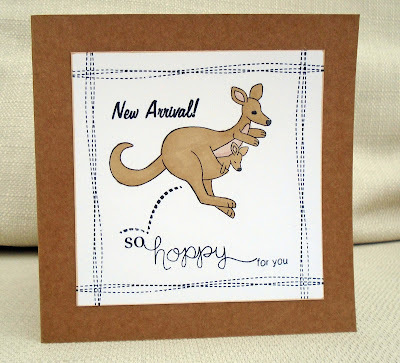 Our challenge at Make My Monday this week is to use your newest of most favourite stamp. All these stamps are from Hero Arts Showered with Love set - it was a Christmas present from my brother but I didn't actually receive it till New Year's Eve so at the time I made it, it was my newest stamp. (I confess, I've been shopping since then!) . 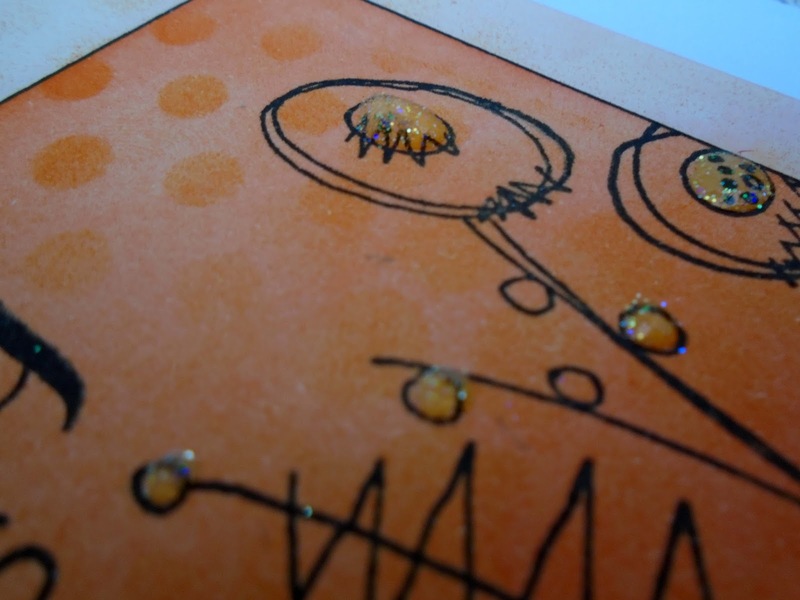 I decided to stamp onto patterned paper, as I'm trying to use up my paper mountain. 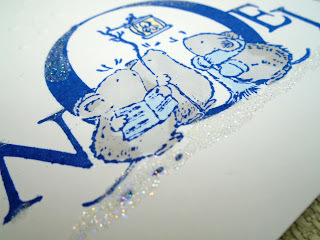 I added some shine with silver gel pen and silver textured card. We'd love it if you'd join in our challenge. Not only does making my Christmas cards throughout the year help prevent stress in December, but also having plenty of one-layer-cards does too. At least I don't have to worry about whether you need to increase the postage cost. 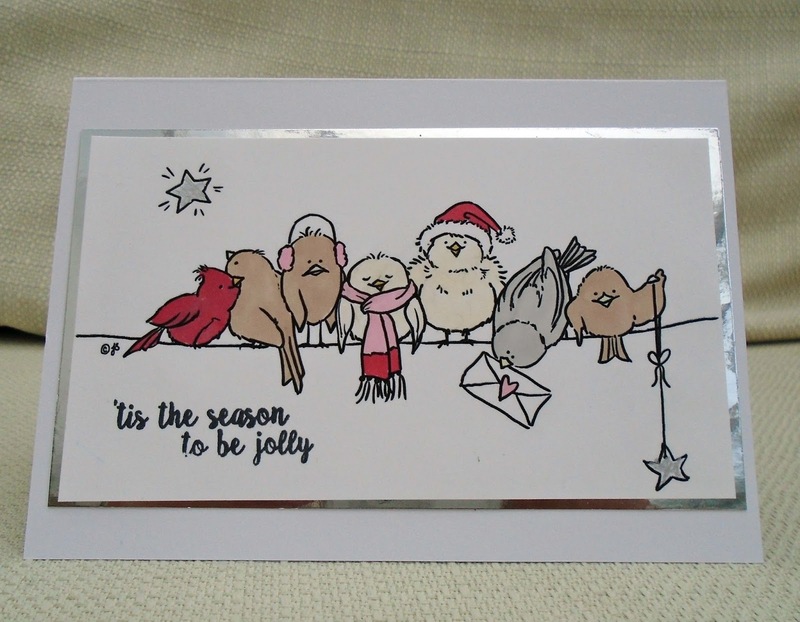 For this one-layer card I used a Penny Black image of some mice carol singers, coloured with alcohol markers. I masked the image and stamped the NOEL by Clarity Stamps. I used a snowfall embossing folder at the top of the card and added glitter. Yes, I confess I've been shopping again - these stamps are by Neat and Tangled. The background is a 12 x 12 paper of vinyl records that I have had for years and the ledger-style paper that I paper-pieced with is by October Afternoon. 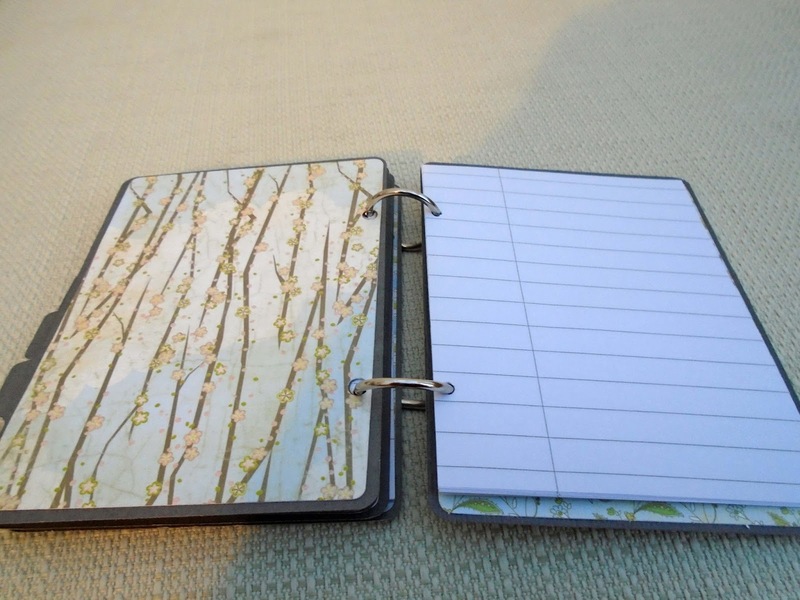 I always keep a 'to do' list in the kitchen so I thought I'd make good use of my mountain of paper pads by making a notebook. 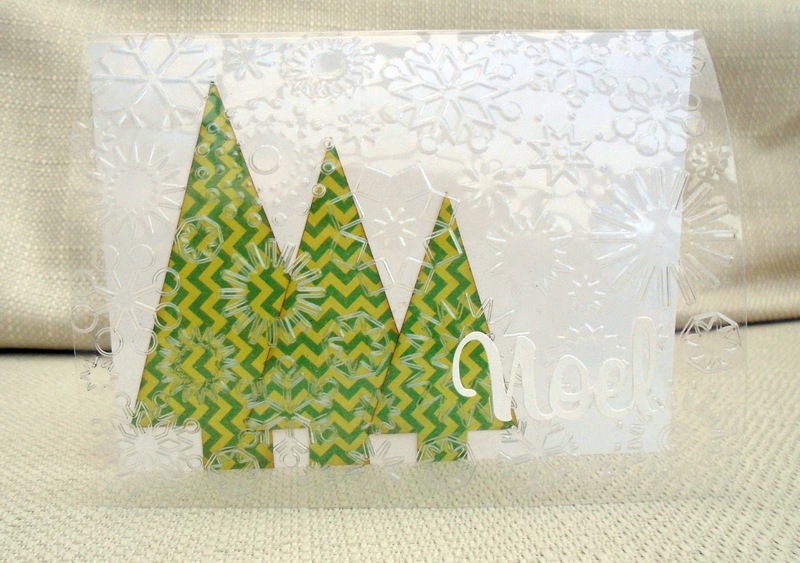 I cut this out on the Silhouette cutting machine and used Basic Grey Lily Kate 6x6 papers. 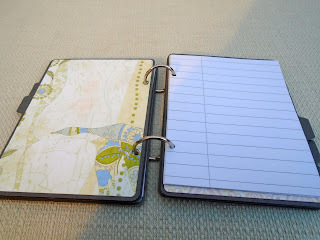 I chose to fasten it with book rings so I can add and remove paper. 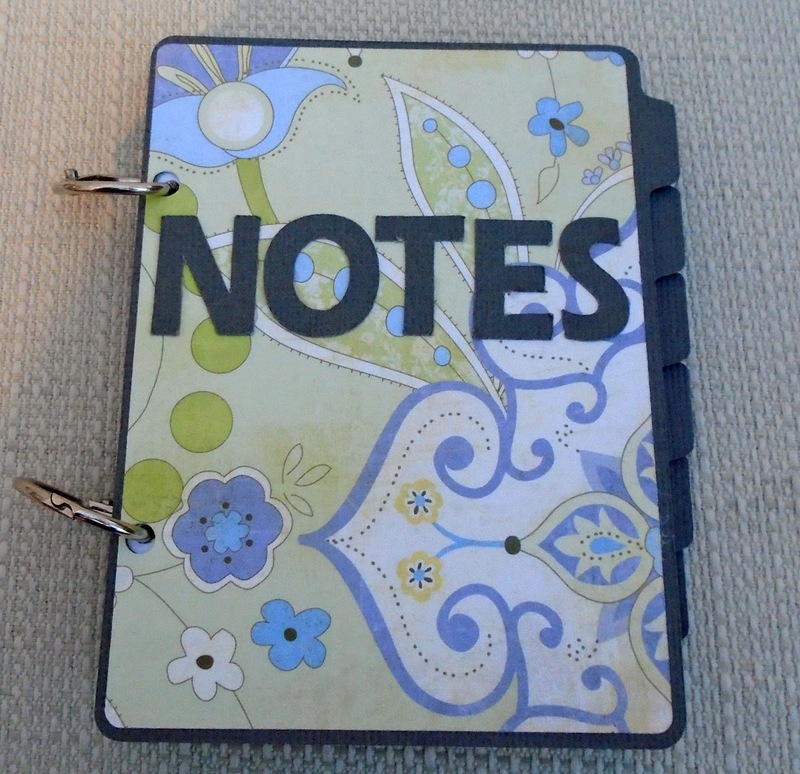 I didn't embellish it, as I don't think embellishments would survive daily use. 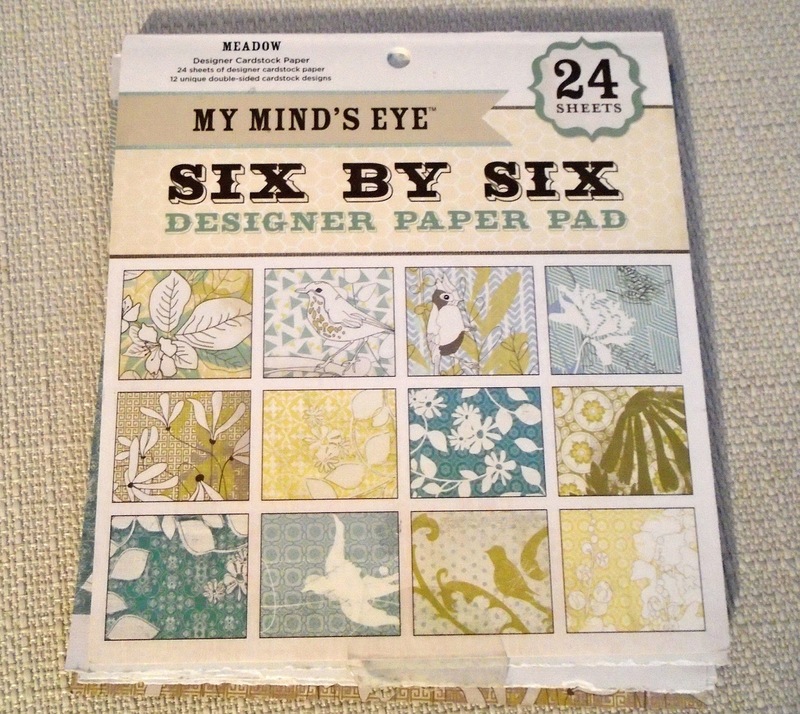 I think this is a good use for patterned papers and might make more to give away. 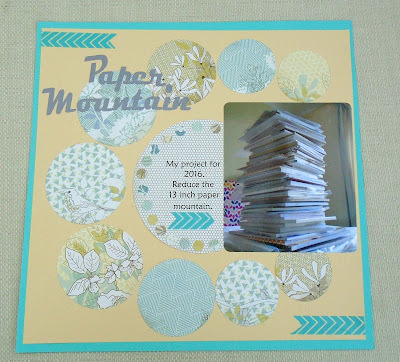 I spotted some challenges that I thought would be good for helping me reduce my paper mountain. I used a digital image of stacked cups (source unknown) and I cut out a copy of the cups, cut them apart and stamped them, then reassembled them. 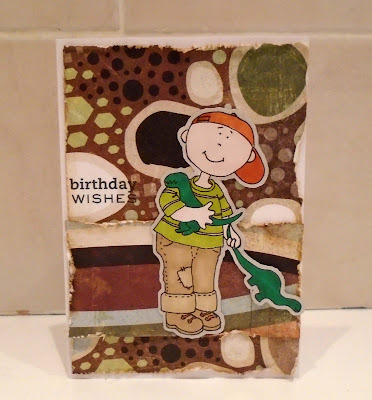 I used stamps from : Hero Arts, Docrafts, Basic Grey and 7Gypsies. We'd love to see how the photo inspires you. 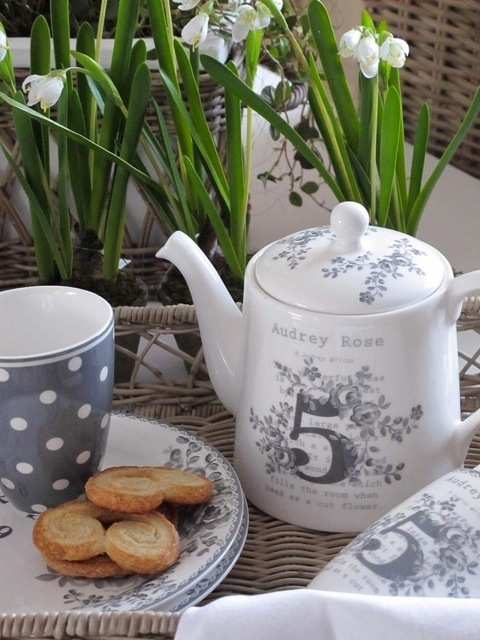 Please come and visit us , see what the DT and our Guest Designer Dora have made, and join in the challenge. 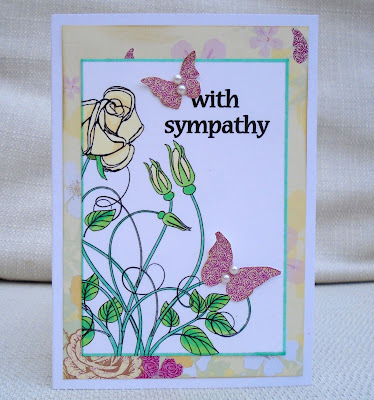 I'm pleased to say I don't need this card right now, but it's always useful to have one put away, isn't it? 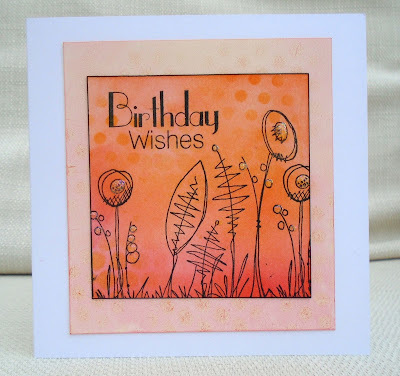 This is a digital stamp from My Craft Studio Flouring Florets CD, and I coloured it with alcohol markers. I made the sentiment on my computer. I used 2 sheets of patterned paper from my paper mountain - one as the back layer and another that I cut the butterflies out of . Here are the 3 kings setting off to find the stable. 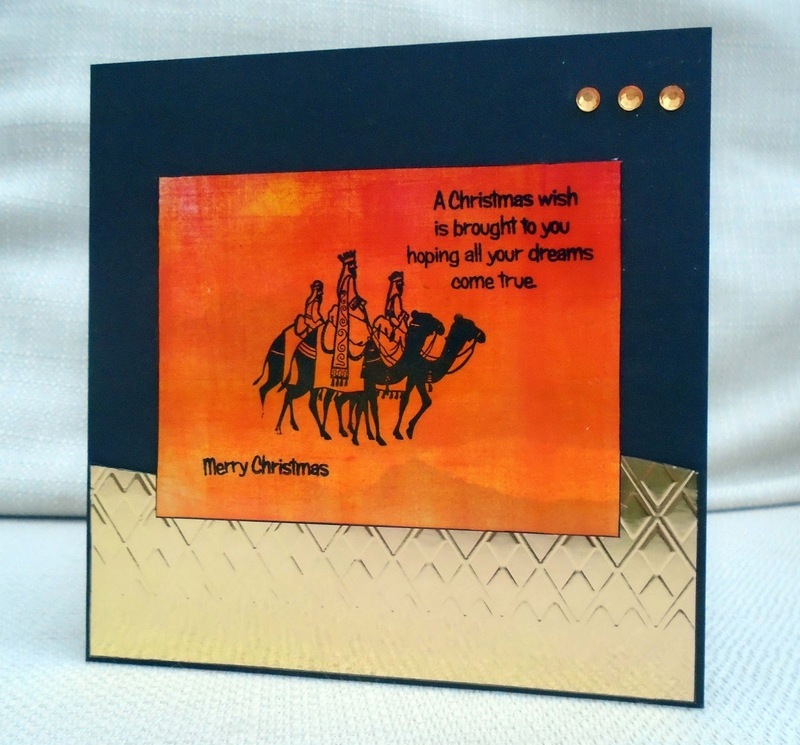 They are from one of my older stamps (Inca) and the sentiments are Little Claire, and I dry embossed the gold mirror card. I know I get some international visitors so let me explain... Arsenal are one of the top English football clubs..(that's soccer to some of you!). 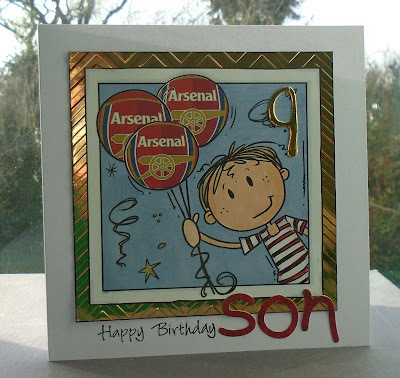 My son is football-crazy , he plays it and he watches it and Arsenal are his favourite team. 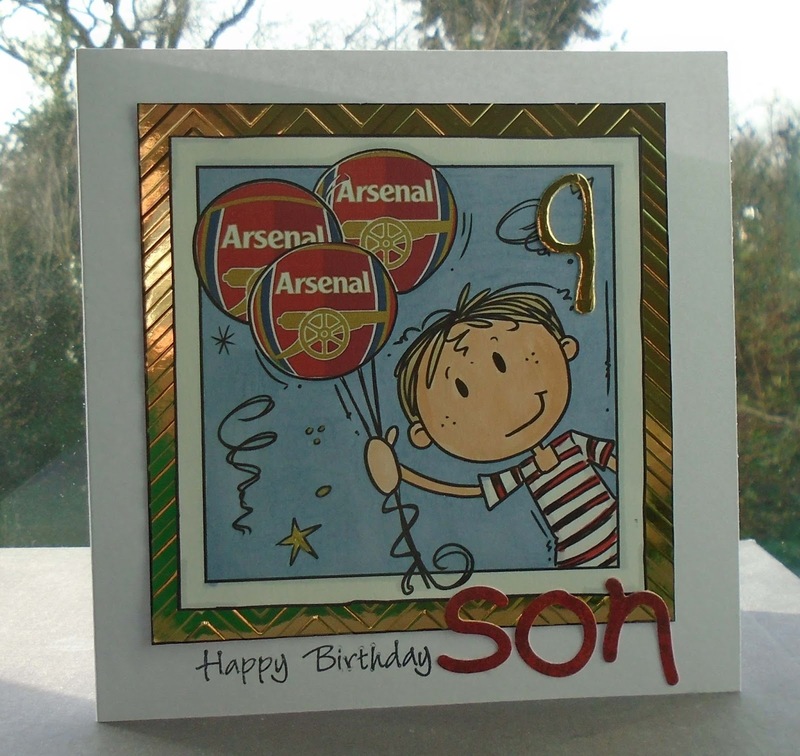 For his 9th birthday, I used a Bugaboo digital image and I traced the balloons in Silhouette Studio and filled them with the Arsenal logo. I printed it and coloured the rest of the image with markers. 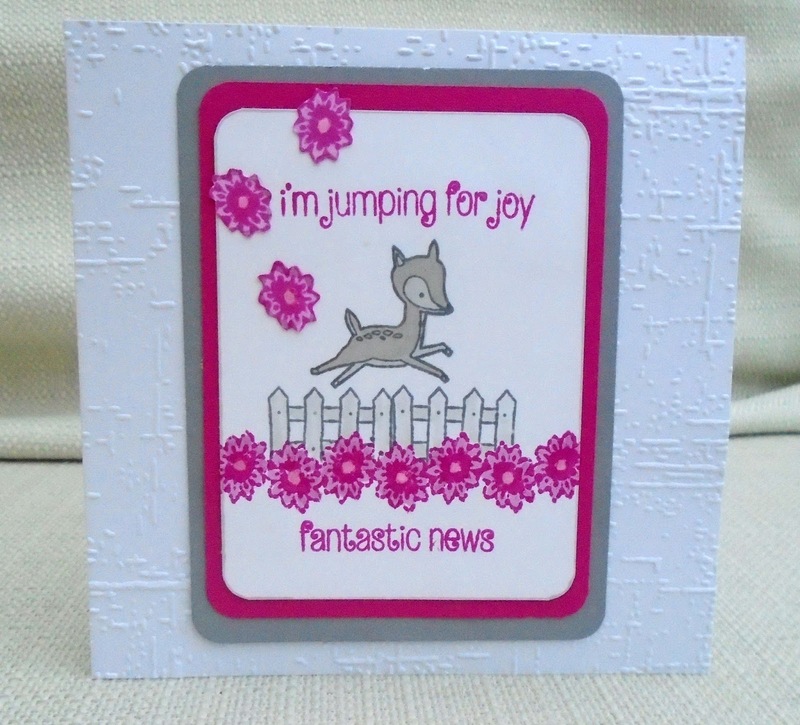 I added embossing, diecuts and a stamped sentiment. 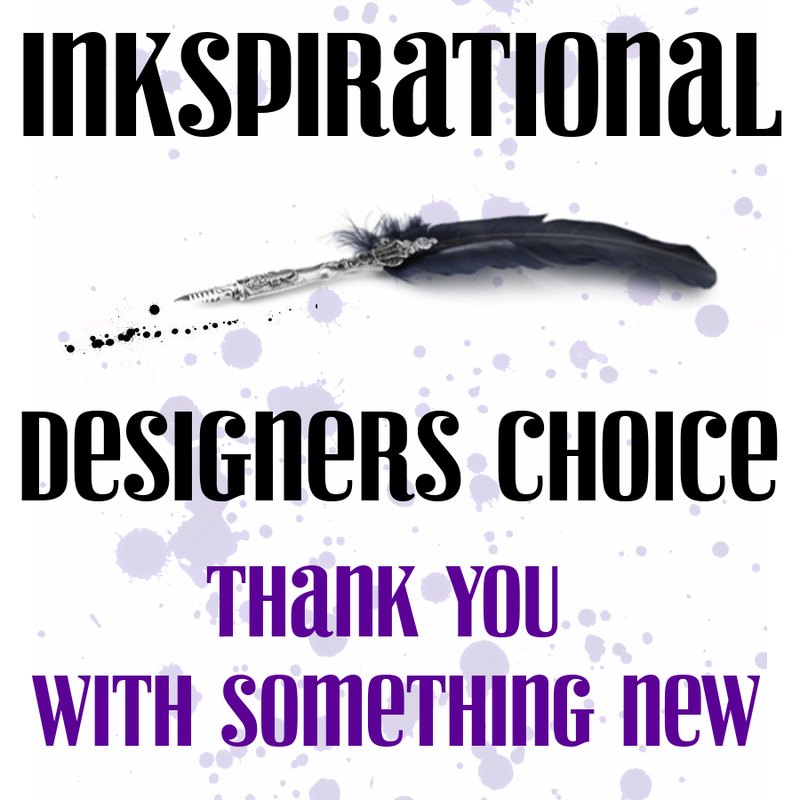 We have reached Challenge 100 at Inkspirational, and I'm proud to say I've been on the DT since Challenge 1. 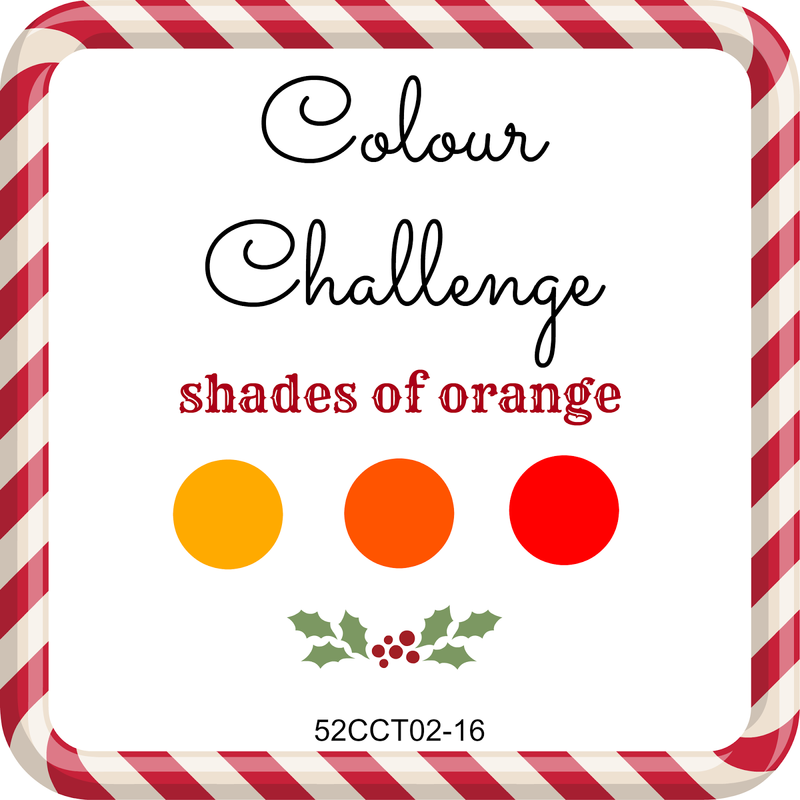 Our challenge this week is to pick any of our previous colour challenges - there's a list on the blog. Kylie , our friend and GD , is sponsoring the challenge with a fabulous prize. I'm sure you can see that I picked just raspberry and grey. The deer and fence stamps are by Poppy Stamps, the sentiments are by Clearly Besotted and the flower border was from my empty box project box. (I made this at the end of last year!) I added Glossy Accents to the centre of the flowers and dry embossed the card base. 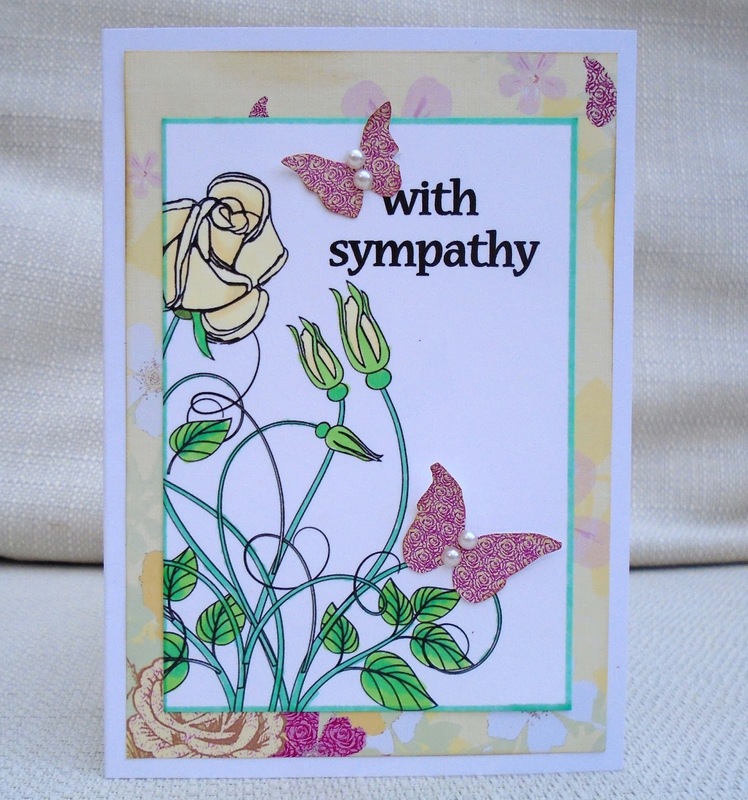 Now I'm just waiting for the fantastic news that will necessitate me sending this card to someone! 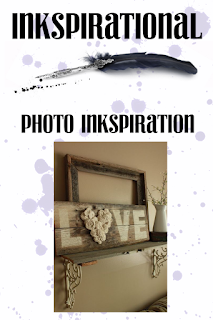 We look forward to seeing you at Inkspirational. So hard to photograph....!!!! 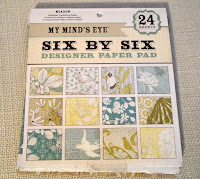 But I'm rushing to get this linked up to the Paper Artsy transparant challenge. 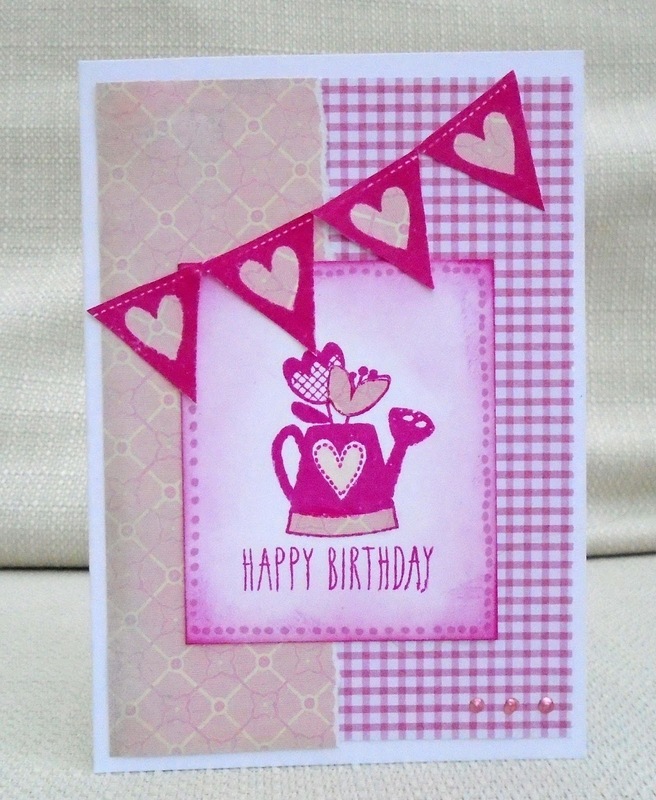 It was heavily influenced by a card by Lisa Stenz that was posted for inspiration on their challenge blog post. It inspired me! 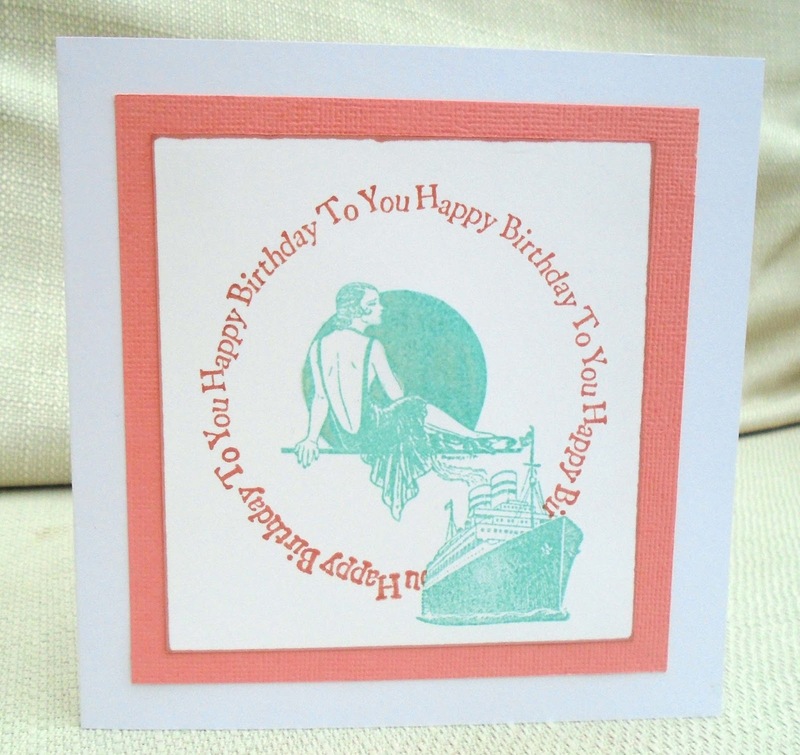 Happy Birthday to Ros who is on the DT at City Crafter and is a lovely, supportive team-mate. 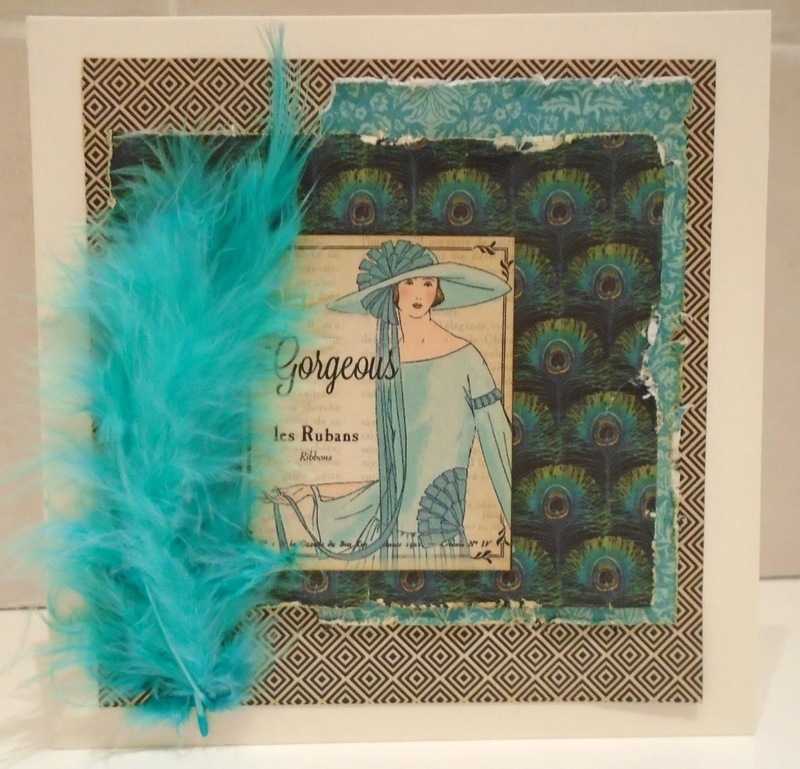 She recently blogged about a night on a cruise ship, and that inspired this card. All these stamps are old wooden-backed stamps; the circular sentiment stamp (from My Sentiments Exactly) is one of my favourite and most-used stamps of all time - even though it's not clear, I never have any problems placing it. The ink pads are Canteloupe and Pool Party from Stampin Up - I love Stampin Up colours but I will not buy any more as I cannot get on with the packaging, which is a shame. 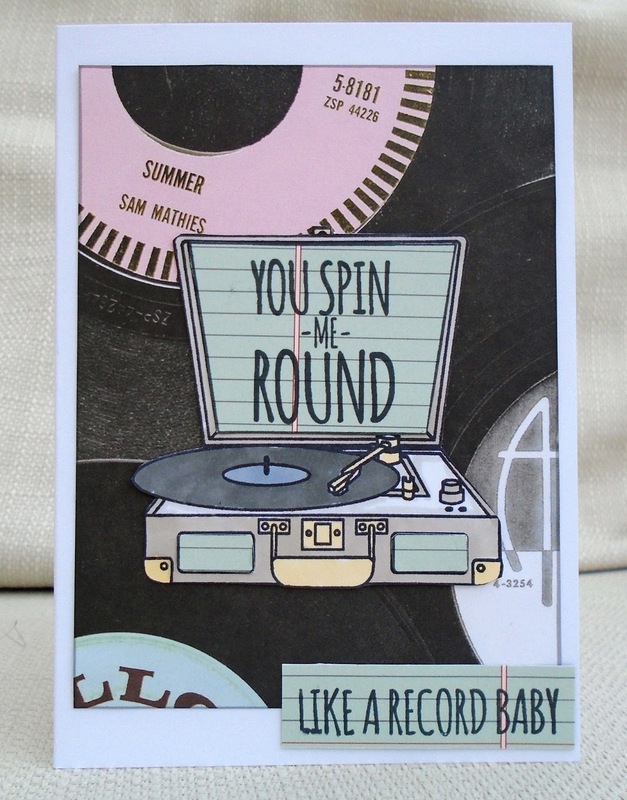 Ros, I hope this card has made it safely to you in real life. Have a great day! Our new challenge at City Crafter Challenge Blog is to create a project using a butterfly. I created a watercolour background using distress inks, then stamped the sentiment (ADFD polymer stamp) , masked it and stamped the frame (Basic Grey. 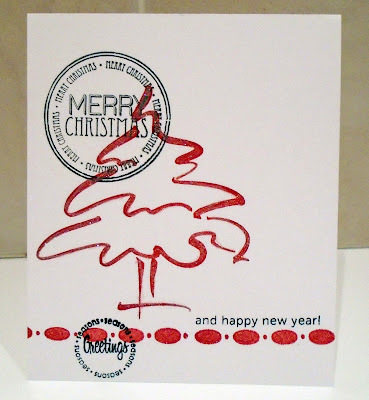 I made this over the Christmas period and it was one of the last stamps in my 'empty box project' box.). I stamped the butterfly, coloured it in with watercolour pencils and covered it with Glossy Accents. I stamped a splodge and distressed the edges. 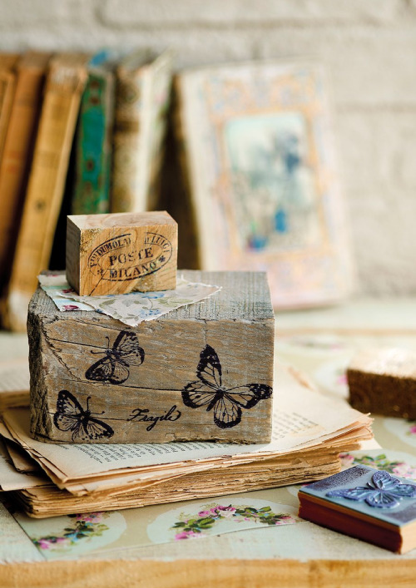 I bet you have a stamp, sticker, die or stencil of a butterfly, don't you? 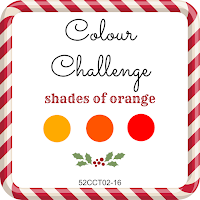 Why not join in our challenge? We have a fabulous Guest Designer, Dora, so please come to City Crafter, to see what she, and the DT have made, and join in. 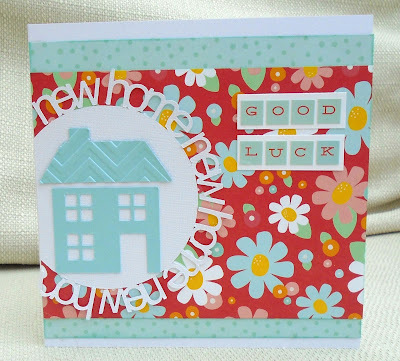 For my DT card I cut the house and the circular mat on the Silhouette, and dry embossed the roof. 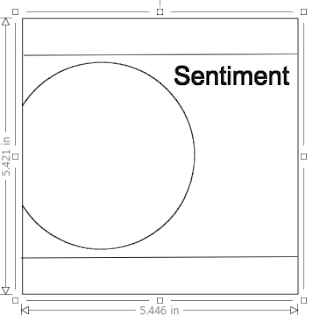 The sentiment is stickers. I hope you will have a go at using this sketch ... but not till you visited the Make My Monday blog to see what the DT have done. See you there! Here's a one-layer card I made using the sketch from 52CCT. 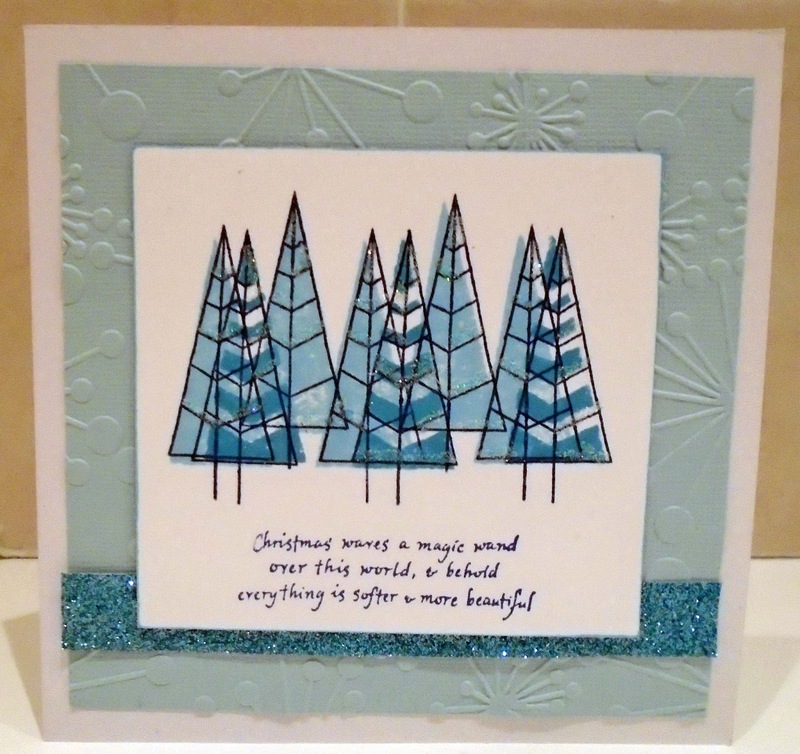 The tree is an old favourite from Denami and for the other stamps I used two different sets from Papermania, and the New Year sentiment by Mama Elephant. 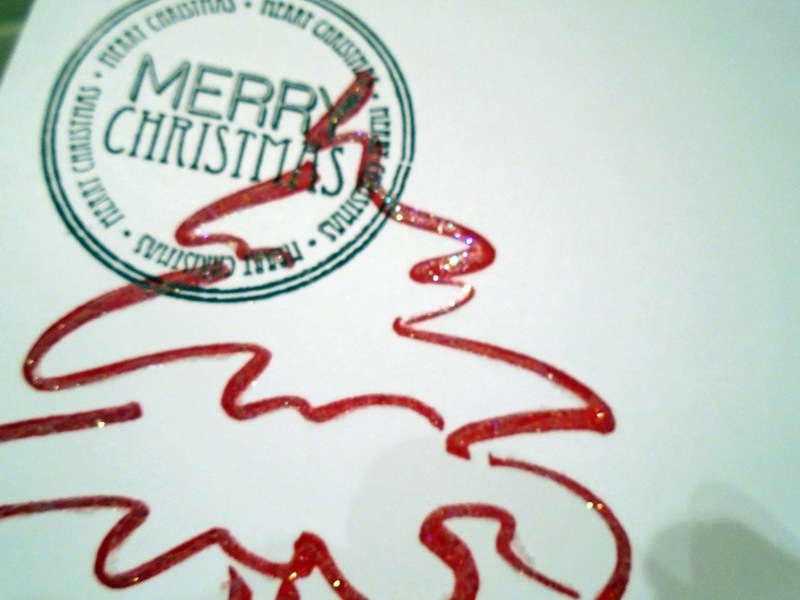 I went over the lines of the tree with a glue pen and added glitter. I did some background sponging and then realised I'd accidentally gone ombre! I added random spots using a stencil I cut on my electronic cutting machine. The second layer is sponged the same as the first, but on cream slightly glossy card - it's amazing how much lighter it is. 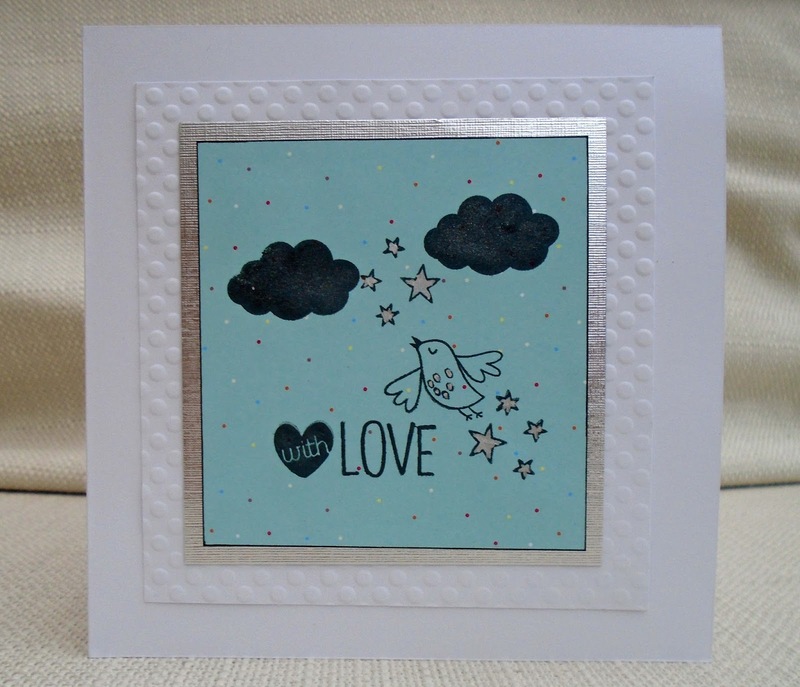 I used Paper Artsy stylised flower stamps, a Clearly Besotted sentiment, Glossy Accents and glitter. 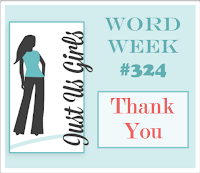 One of my favourite challenges, Shopping Our Stash , are having a monochromatic challenge, and using pink in honour of their DT member, Leslie, who recently passed away. 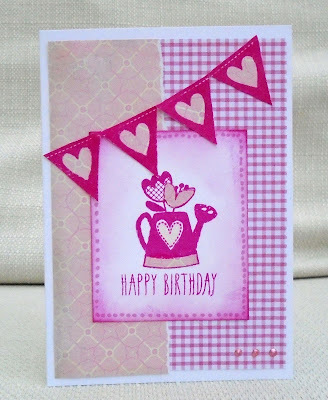 I used the watering can and banner stamps from a Craft Asylum set, the sentiment is by Mama Elephant and the papers are from my paper mountain. I paper-pieced a little on the image, added a frame of dots, some liquid pearls and glossy accents to the heart on the can. I chose this week's challenge at CCCB - Say Hello, Wave Goodbye. 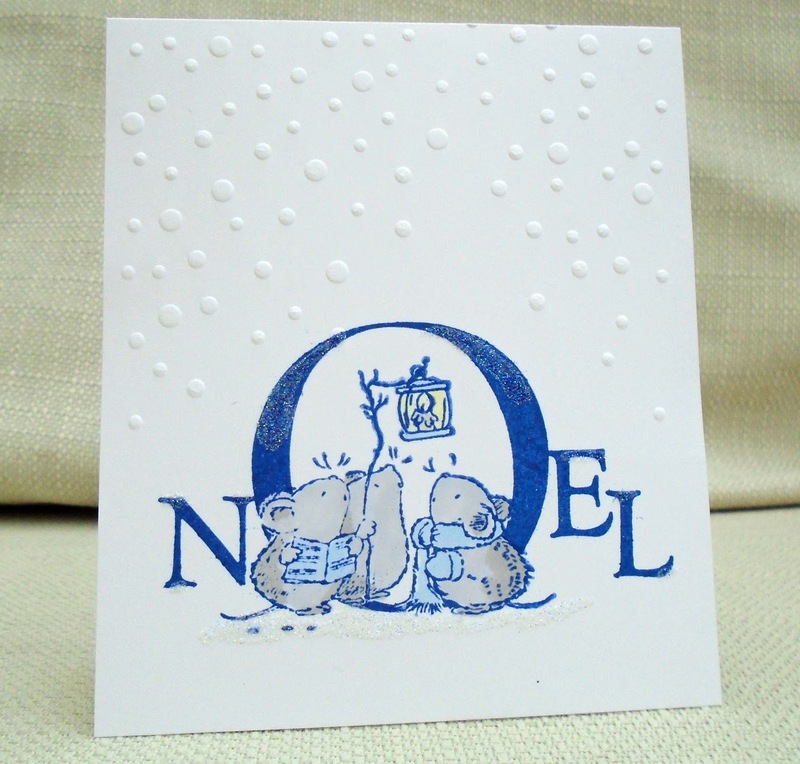 For my DT card I die-cut a cloud out of scrapbook paper and added fake scrabble letters, covered in Glossy Accents. For the little hands I used a digital die-cutting file to cut a stencil and then inked through it with aqua ink. I was really pleased with the detail. 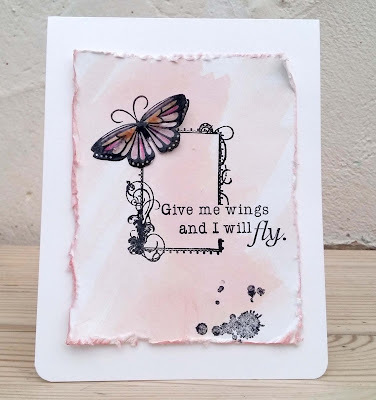 I hope you will join in our challenge to make a project celebrating a beginning or ending, We are joined by our Guest Designer, Bea , so please do come over and see what she, and the DT have made. Well, I'm back at work after a two week break ( hence the shadowy photo of a card that is bright and sparkly in real life). I feel really tired! Obviously I got used to not working. (And eating chocolate and drinking wine. It was hard work dragging the extra 7 pounds up the station steps today.) Anyway, I made this last night when I had some energy. The trees are three stamps from a Memory Box set I got just before Christmas and the sentiment is by Little Claire. 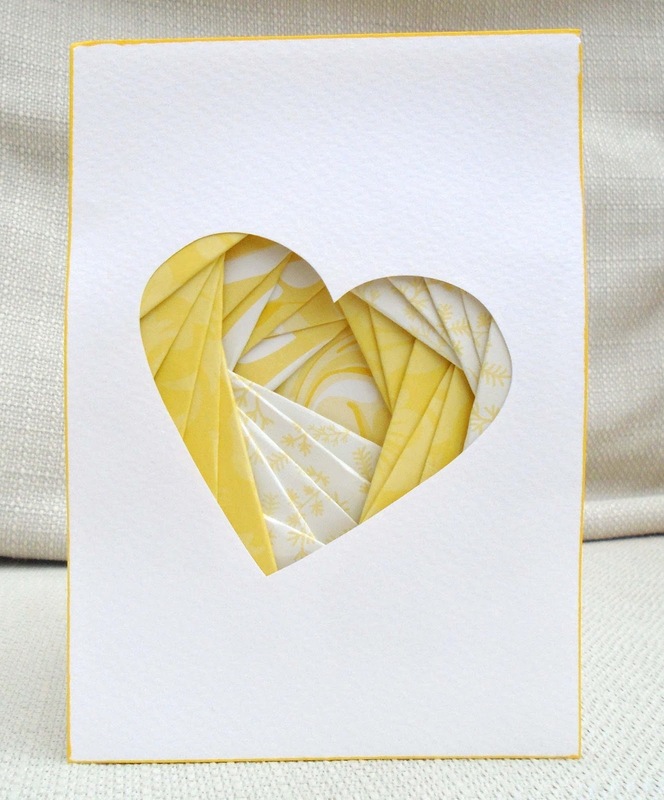 We have something a bit different for you at Make My Monday this week - Iris Folding. I have tried this before many years ago and although I have seen stunning effects achieved, I don't really enjoy following the patterns. So for my DT project I cheated and went freestyle - with limited succcess. I think the folded bit looks okay but oh, it's bulky at the back! Well, a challenge is all about having a go and I had a go and I think you can do better than me. There is a link to some patterns on our challenge blog. I hope you'll come and see some better samples from the DT and join in with your own iris folding project. Let me introduce the Amazing Stripe-Man . His special power is the ability to keep his stripes perfectly straight, no matter how much his cape billows. He's flown in today to get me started on conquering my paper mountain, which is my project for 2016. 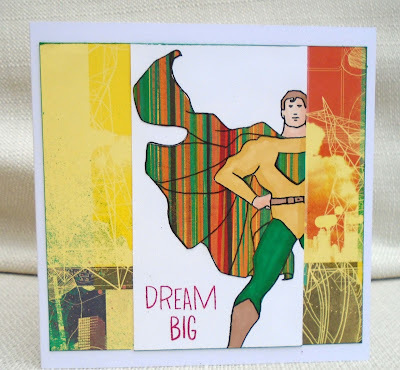 The superhero image is from A Day for Daisies and the sentiment, which I chopped up, is from a Hero Arts set I got for Christmas. 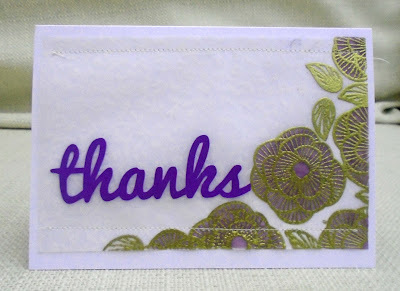 Our new challenge at Inkspirational is to make a thank you card using something new. My new thing is the girl stamp, which is from a set by Personal Impressions/ Lindsay Mason. I bought these just before Christmas. As she is hugging ('feeling') a heart, I thought it's be fun to team it with the Clearly Besotted sentiment 'Heartfelt Thanks'. On this card I used two of my favourite 'techniques'. 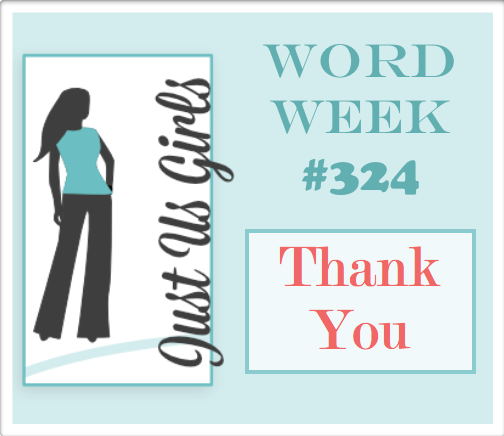 First I cropped the stamped image - she is full length, but I cut her off at the thighs. 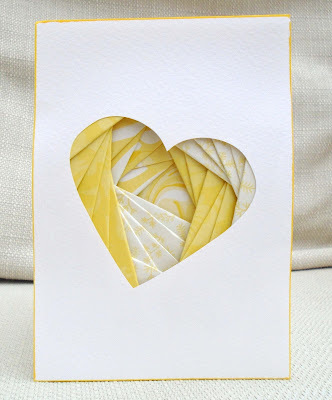 The other is paper-piecing, which I did on the heart. 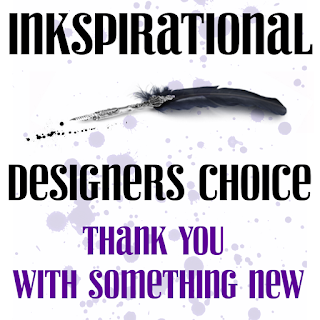 At Inkspirational this challenge we are joined by an amazing Guest Designer, Maaike , so I hope you'll come over and see what she, and the DT have made, and join in the challenge.